Membership of the National Trust has reached five million for the first time, the conservation charity says. The organisation, which looks after historic homes and natural sites "for the nation", had just 278,000 members when it began recording rates in 1970. 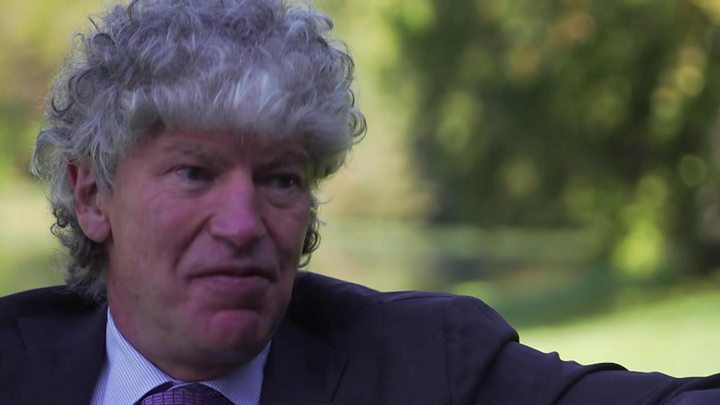 National Trust chairman Tim Parker said people were craving peace from an increasingly "busy, noisy world". 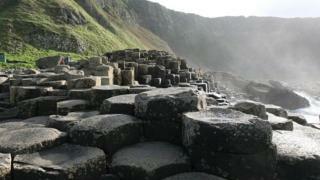 The Giant's Causeway in Antrim was its most popular site, with 665,681 visits last year. Also popular were Cliveden House in Buckinghamshire (475,604 visits), Attingham Park in Shropshire (466,658) and Belton House in Lincolnshire (450,293). Media captionNational Trust chairman Tim Parker says people are craving peace from an increasingly "busy, noisy world"
In total, 24.5 million people - both members and non-members - visited National Trust sites that charge an entrance fee, while there were an estimated 200 million trips to the coastal and countryside sites that can be explored for free. Mr Parker said the National Trust was "truly unique" because it looked after a vast array of historic places in England, Wales and Northern Ireland - from archaeological remains, coastlines and forests, to entire villages and even 39 pubs. "That suggests the country's love affair with its heritage and great outdoors has never been stronger," he said. "In the busy, noisy world we now live in perhaps it's never been more important to escape. "A visit to a trust property can be a real tonic - you get to see real beauty, not virtual beauty." The trust is funded by membership, visitor income, donations and commercial activities. Adult membership currently costs £64.80 for one year. The National Trust said it had completed a number of projects recently including a £19.8m conservation studio at Knole in Kent, roof repairs at Dyrham Park near Bath, and the restoration of Quarry Bank glasshouse in Cheshire. Most National Trust property is held inalienably, so it can never be sold or developed without Parliament's consent. Helen Ghosh, the charity's director-general, said conservation was "at the heart of all we do". "We've never lost sight of our core purpose," she said. "I'm pleased to say we're now spending more money than at any time in our history on funding vital conservation work at the historic houses, countryside and coast we look after for the nation." The trust is currently in the process of buying 700,000 sq metres of "iconic land" behind the white cliffs of Dover. Mr Parker said future acquisitions could be more industrial in their heritage. "There aren't many more big houses of national significance to buy and there are more of the super rich wanting estates," he told the Times newspaper. But the organisation is not without controversy. Last year, a land purchase in the Lake District led Melvyn Bragg to accuse the trust of "bullying" and pricing out local farmers with a bid £200,000 above guide price. "We are not a bullying organisation... and we try to be fair," Mr Parker told the BBC. "It's inevitable that with so many interactions with people that occasionally we excite minor controversy."